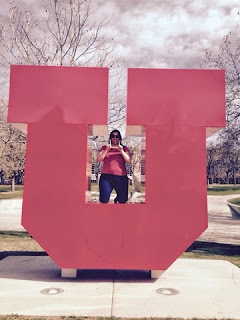 One of the things I was most excited about moving back to Utah was being able to go to events at the University of Utah. I had not been on campus since my graduation almost four years ago and I was excited to be able to be a part of all the fun. After all, I spent eight years there (my Bachelor's was a slow process) so I have quite the attachment. Our Utah gymnastics team, the Red Rocks, are incredible. They have so much talent and always have the highest fan attendance in NCAA women's sports. I had never been to a meet before but saw that they were hosting the Pac-12 Gymnastics Championships and bought tickets right away. Saturday we drove up to Salt Lake to have lunch before the meet. I love that city so much! If you have never been you are missing out. It's beautiful and has so much going on. Anyway, for lunch we stopped at one of my favorite places. 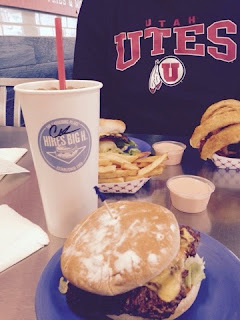 Hires Big H has delicious burgers and the fry sauce (a Utah staple) is to die for. The whole time I was in Colorado and I would order fries anywhere I would think back to Hires fry sauce and make a note to buy some online. 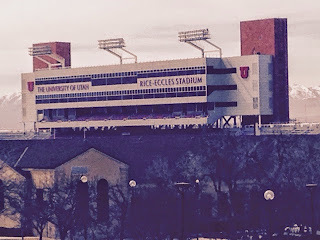 We got to campus early enough to walk around and make a visit to the bookstore to buy some merchandise. 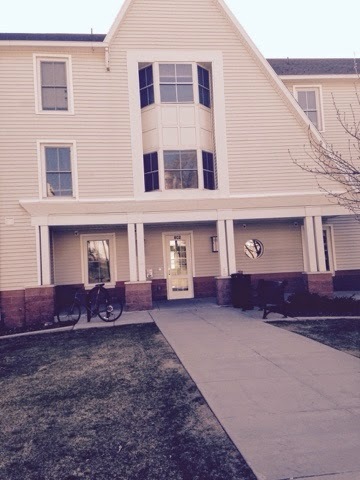 The campus is beautiful and it was fun to see all the new stuff that has been added to it. There was some picture taking, shopping, and reminiscing about the good old days. Then it was time for the meet! 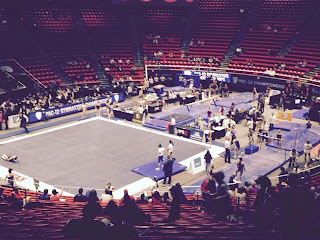 My first gymnastics experience was definitely one to beat. The crowd was awesome and the Red Rocks killed it! I did keep looking at my phone because the men's basketball team was playing Georgetown and I was dying to see how they were doing. I started jumping up and down when I looked down and saw they had won.They made the announcement over the sound system and the crowd went cray. 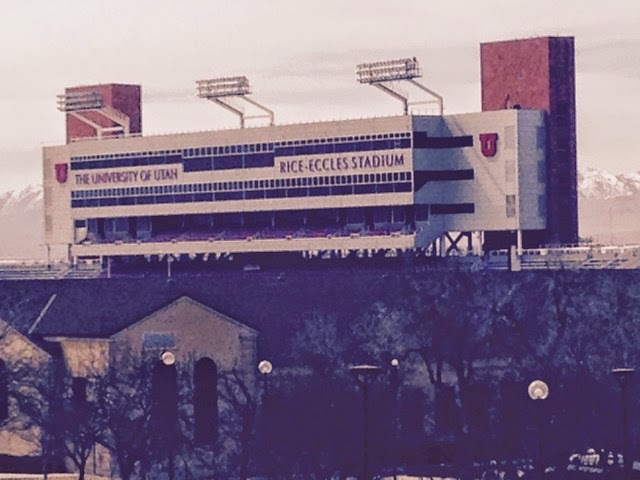 The Red Rocks won the Pac-12 championship to seal the perfect day for any Utah fan. It was such a good day and I was happy we got to go. We spent Sunday at home being lazy and watching March Madness. Since moving to Utah we hadn't had a weekend day where we were being lazy at home just the two of us. The lazy Sunday was the perfect way to end the weekend! So fun! Now all I want is Hires! lol Glad your back!